← Signs of Spring 7: The Day of Amphibians! A few months ago I wrote about the latest research describing the domestication of dogs. 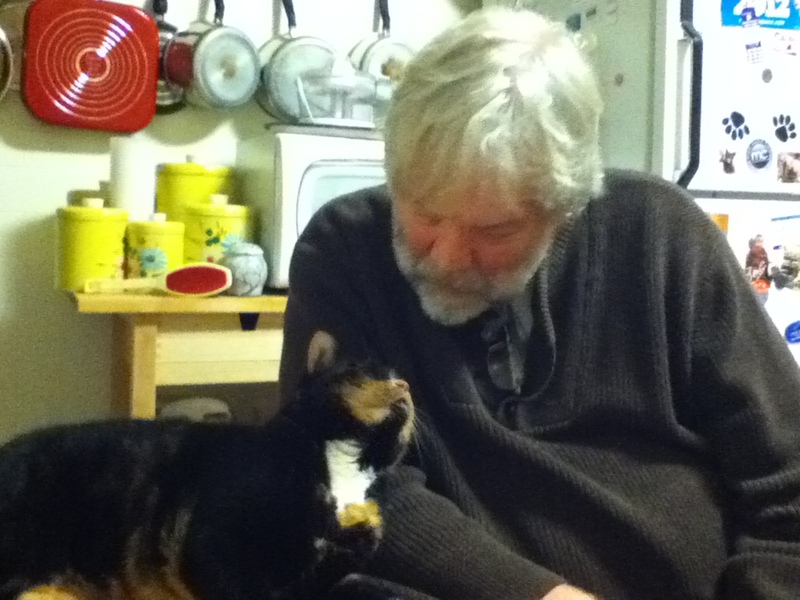 The next week I looked at our “other” best friend (cats) and concluded that, possibly, cats never were domesticated but they may, in fact, have domesticated us! It all depends on how you look at our relationships, really. The idea that domestication is not just something people do to other species but might, in fact, be a two-way street stuck in my mind. It led me to accumulate an array of research papers about the genetics of domestication (looking mostly at the history of agriculture and the 14 wild animal species and 100 or so wild plant species that humans have incorporated into our agroecosystems). I also read some of the more recent literature about “re-wilding” ecosystems (George Monbiont’s articles and his book, Feral, were very significant here). 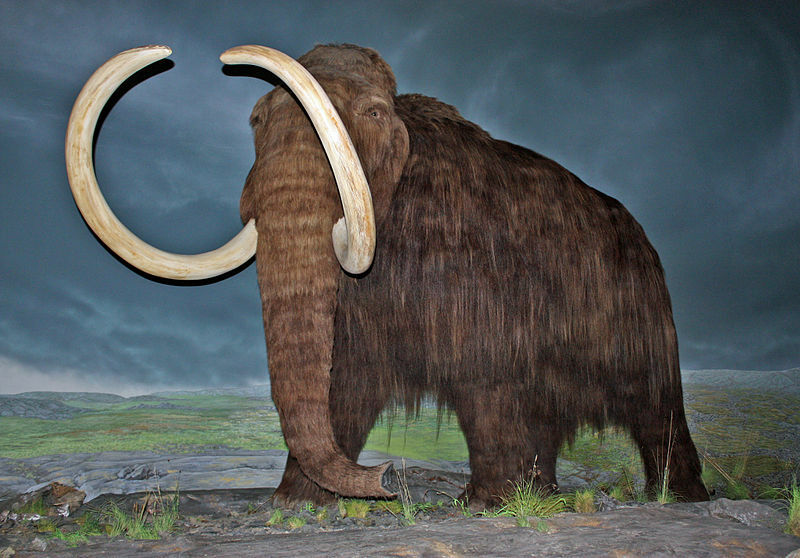 Monbiont’s stated desire is to erase domestication and return as much of Earth as possible to a state of pre-agricultural existence (a time of woolly mammoths, wild forests, and powerful, free-roaming predators). His ideas feel like a new (and more extreme) version of the “back to nature” philosophies of the 1960’s and early 1970’s (“we got to get ourselves/ back to the garden,” as Crosby, Stills and Nash (and Young, I think) sang). The counterculture of the 1960’s, though, envisioned gardens, orchards and farms as the natural state of human beings. This new, twenty-first century vision takes us back before those pastoral Eden-esque communes into the isolated caves and shelters of our hunter-gatherer ancestors. 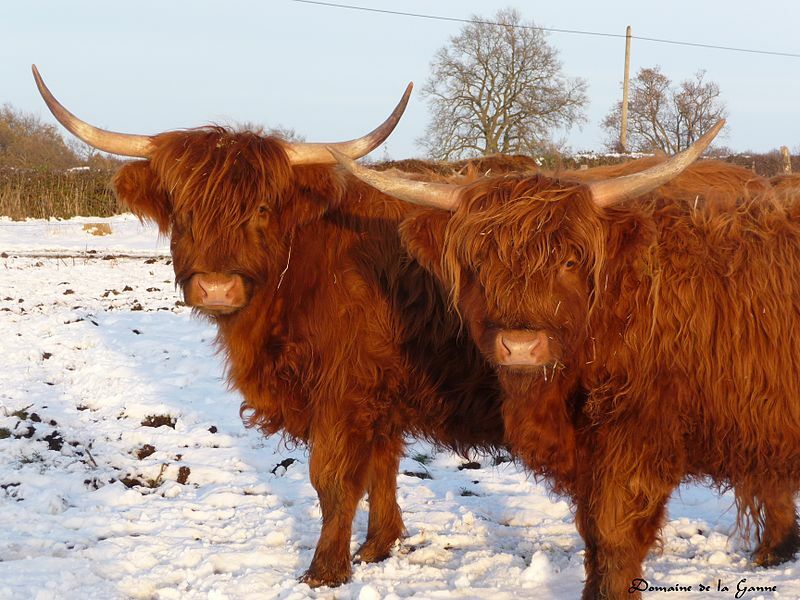 Are we ready to huddle by the fire at night listening to the sounds of passing carnivores? Are we ready to spend nearly all of our waking hours gathering dispersed foods from our ecosystems? How would the meager resources of the Earth support such a large, “natural” population of humans, and, considering what domestication and agriculture have accomplished (and done to us!) is a return to such an existence possible? Has an evolutionary door closed on that kind of human existence, and, if so, should we thankful that that door has closed? We need to think about the process of domestication from the perspective of plants and animals and then apply these ideas to ourselves. 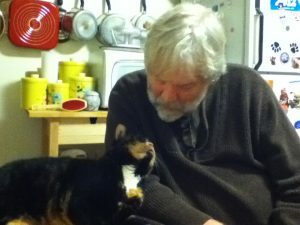 Domestication is a process that changes the genetic makeup of a species. 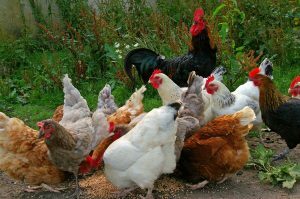 Animals like dogs or cattle, goats or chickens do not simply learn to tolerate humans, instead they become physiologically adapted to not feel the stress that wild species experience when coming into contact with such an unpredictable (and dangerous) organism like a human being. Domesticated animals also do not experience stress if they are kept in space-limited enclosures or if they are raised in huge herds or flocks. Animals that can be domesticated must also have food needs that can be provided by people and reproductive rates and growth rates that will allow efficient accumulation of individuals in a sustainable herd. They must also breed in captivity and not be terribly aggressive or vicious. Not many animal species satisfy all of those requirements, and that is why so few animal species have been domesticated! Failure in even a single feature makes the species impossible to domesticate. For plants to become domesticated, there must be a way to exaggerate the growth of some part of the plant for the benefit of the human consumer even if the plant itself might be ecologically crippled by the changes. Wild cabbage (Brassica oleracea) is a great example of this exaggerative selection. 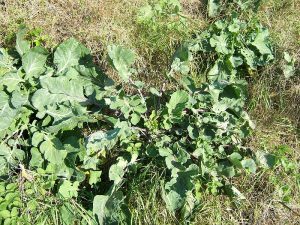 Wild cabbage is a member of the mustard family and has a very efficient overall structure that enables it to grow, reproduce and thrive in many uncultivated ecosystems. 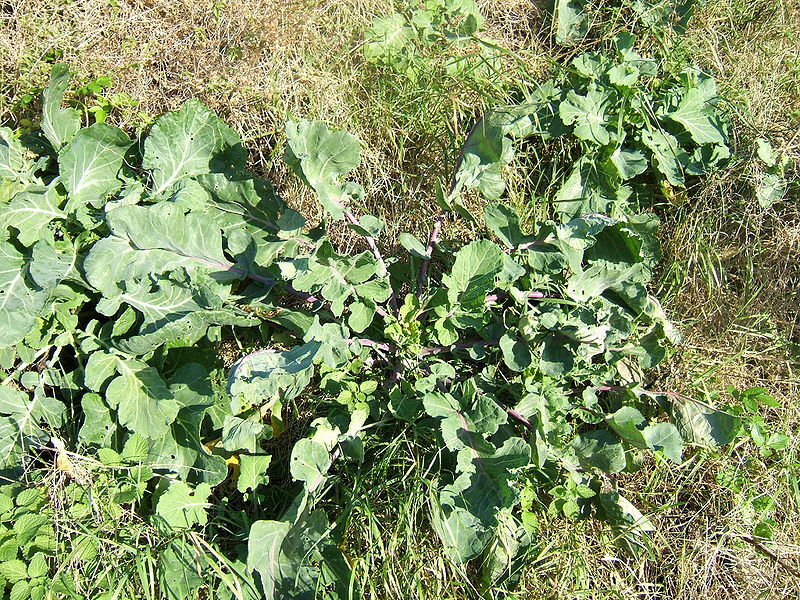 It can be quite a successful “weed!” Variations among individuals in wild cabbage populations, though, have been exploited by humans and used to select versions of this plant with highly exaggerated and, probably, not terrible functional leaves (like domesticated cabbages and kales), or exaggerated stems (like Kohlrabi), or large, slowly maturing flower stalks (like broccoli and cauliflower) or buds (like Brussel sprouts). None of these domesticated forms of the very efficiently constructed wild cabbage could survive in the wild, but they flourish under the care and husbandry of humans. Domesticated grain plants are even more extreme in their genetic transformations. 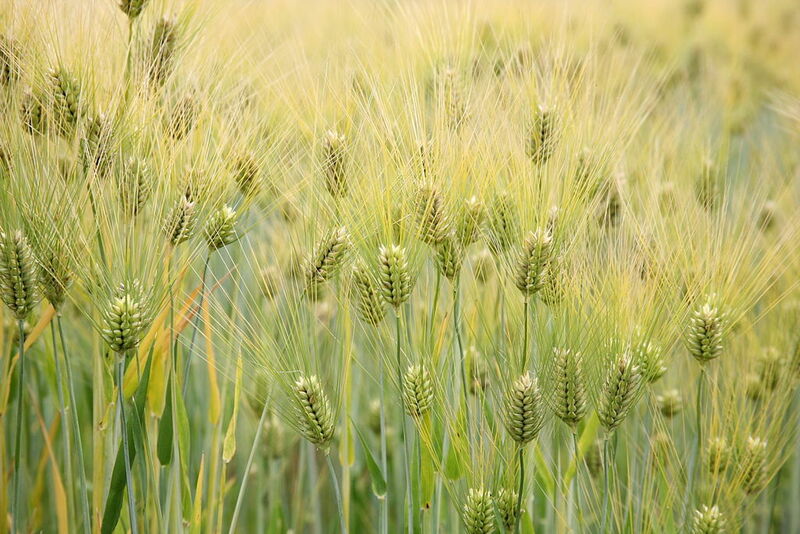 Wild wheat and barley, like the domesticated forms, make clusters of seeds at the top of their stalks. The wild plants, though, spontaneously shatter these seed clusters spraying the seeds out around the parent plant. A mutation in these grain species stops this seed dispersing/shattering event and keeps the carbohydrate rich seeds in efficiently harvestable clusters. For a wild plant this mutation is fatal: the plant is not able to release and propagate its seeds! 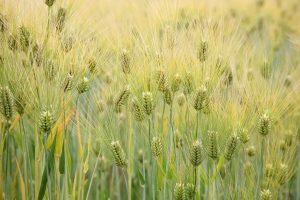 For domesticated wheat and barley, though, humans gather (and eat) the seed clusters and save enough seed from them to sow during the nest season. The plant, then, succeeds in its human-manipulated ecosystem! So what has happened to humans as consequences of all of this domestication? Have we fundamentally changed ourselves, too? The first evidence of the domestication of wild plants dates back 70,000 years to a site in South Africa where abundant starchy residues have been found on stone tools and relics. The first widespread and sustained agriculture, though, probably dates back 12,000 years to the Fertile Crescent of the Near East (modern-day Iraq, Syria, Lebanon, Israel and Jordan). David Reich (a geneticist at Harvard Medical School) recently analyzed human remains from this area that were between 8,000 and 10,000 years old. One of Reich’s observations involved the changes in the nature of the human gene pool. Humans 10,000 years ago existed in discrete and isolated genetic clusters, but by 8,000 years ago these diverse clusters had vanished. Humans, because of flow of products and people due to agricultural commerce, had become a homogeneous, genetic entity. Agriculture, then, simplified and reduced the diversity of the entire human genome! What else has happened to people over these past 10,000 years of exposure to domesticated plants and animals? We have developed genes designed to digest the abundant carbohydrate foods that agriculture generates (and so have our dogs!). We have even developed genes to sustain our ability to digest milk sugar (lactose) well past childhood. 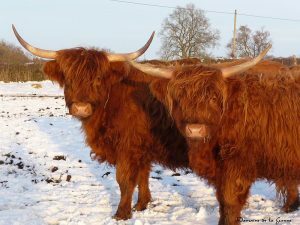 Our close contact with large herds and flocks of domesticated animals (along with our increasing numbers and tendency to live in dense aggregations (which in itself may have required a series of genetic changes!)) exposed us to many epidemic diseases that originated in those animals. These diseases include measles and tuberculosis (from cattle), influenza (from pigs and ducks) and smallpox (from either camels or cattle). These diseases changed the genetics of our immune systems and even our blood types via extremely aggressive and pandemically destructive selection! Further, especially when living in large aggregations, humans required fluid sources that were free of bacteria and other contaminants and, so, developed beers and wines (and the agricultural systems to produce them!). These beverages were safer drinking alternatives than untreated water. Genetic changes then came about to allow people to more safely and efficiently metabolize these sources of alcohol. So, the “human” that lived as a pre-agricultural hunter-gatherer was a very different organism that the one that we are today. In just 10,000 years our genes have been significantly altered by our changing food resources, living styles and by our exposure to diseases. I am not sure that many of us would survive if we had to return to the “good old days!” Although everyone likes to sit around a campfire! I agree with Sandra–thanks, Dr. H, for all this great food for thought (pun intended)! Another delightful essay with much to think about. Thank you, Professor Hamilton!